although I love to play scrabble I'll never reach the level of play of competitive scrabble players - which is fine with me. by the way, have you watched word wars? we're talking serious word freaks! cheers to you, kimy. You can be God if you've got the right tiles... I'm still laughing. That is funny. 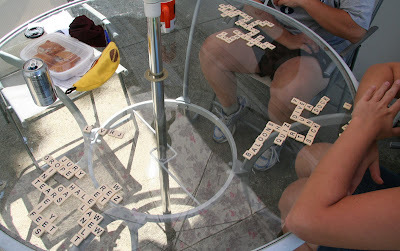 FB Scrabble rocks! But those tournament guys are out there--I agree with Mum: "You can be God if you've got the right tiles" is really funny. Hmmm... 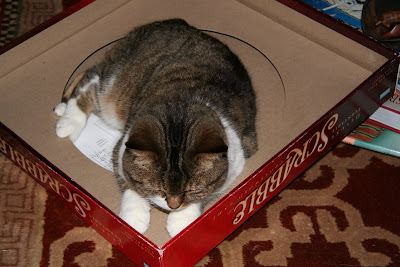 I like my words in books, not puzzles, so I'll pass on the Scrabble, thank you. Mum, he said "You can beat God if you've got the right tiles." Although that's the first I ever heard that God plays Scrabble. When WT is in town, we play Scrabble every weekend. My parents would play scrabble a lot and I have their old set on the top of a cupboard, but have never got around to getting it out. Maybe I should. 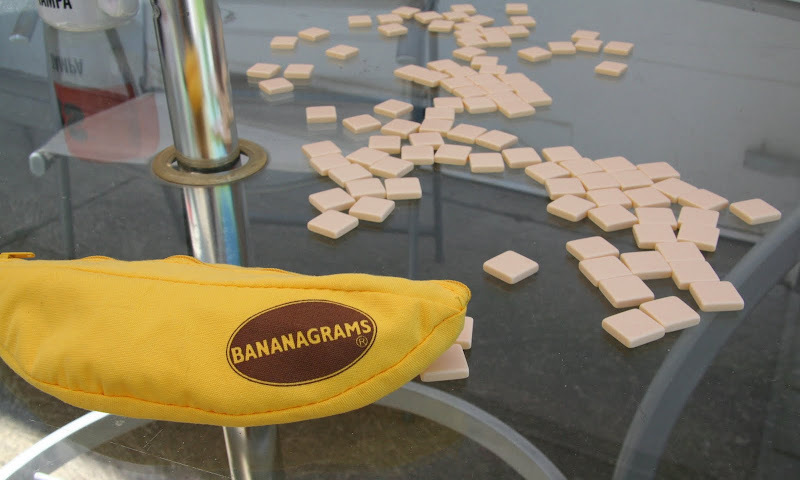 Fellow word-lover: Would you care for a game of Facebook Scrabble? 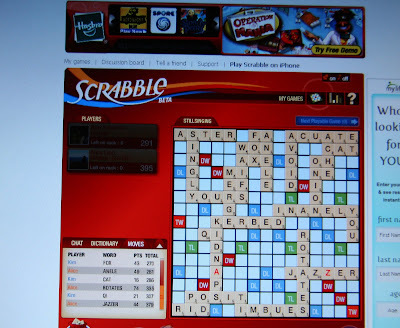 ok, what is FB scrabble? and that bananas looks pretty cool, looks like one for my Christmas list! imum -n the world of scrabble the right tiles can ascend one to all lofty heights, but god....don't know about that. roy - well my f shares your views, but I love him any way.... read on!! alan - definitely time to dust the game off!! Obviously there's no testing for banned substances-LOL! ( what'd that guy bring, and entire Osco's? ). Scrabble is a fun game but only as such and not extreme like this-OY! I am a fellow logophile although my vocabulary pales in comparison to most. Facebook Scrabble...I have never played but now I think I am going to check it out. Cute post. Wow, who are you playing against in THAT one? Great words!!! I tend to lose by making interesting words rather than going for the most points. These Scrabble people are amazing at what they do.